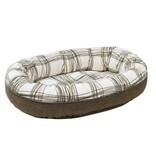 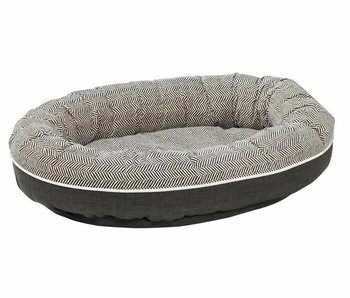 The oval outer ring creates the feeling of security pets love. 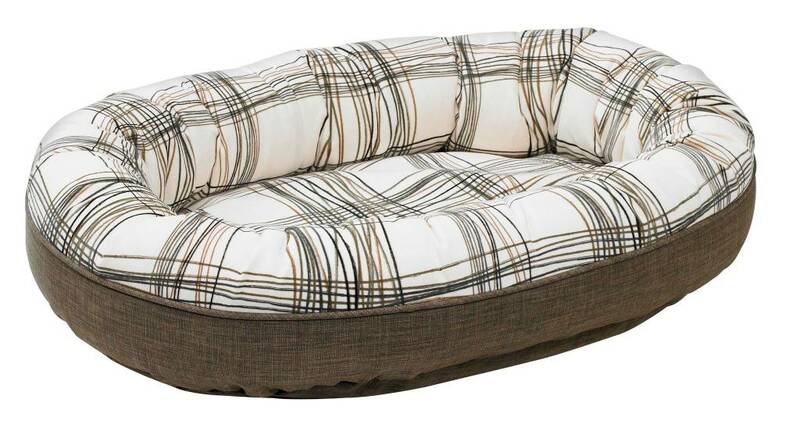 The inner cushion is built directly into the bottom of the bed, which is a great solution for dogs that tend to take out and play with removable cushions from their bed. 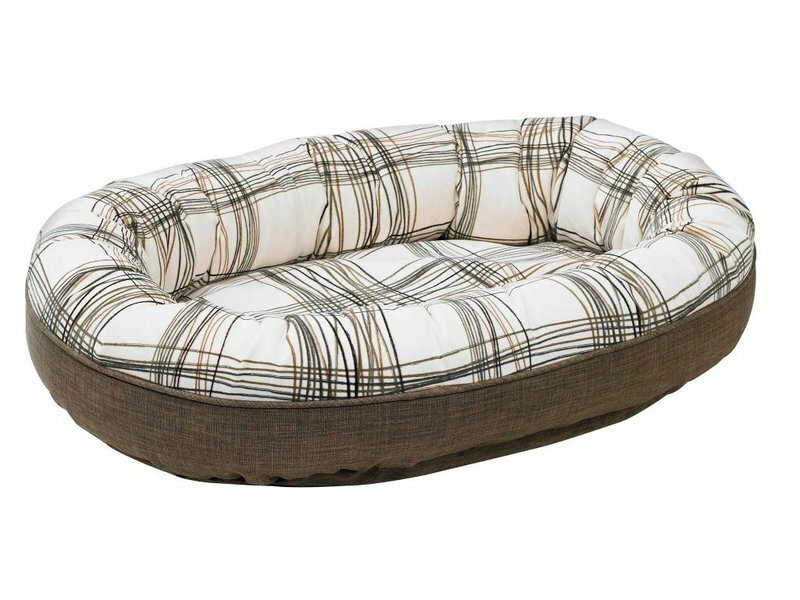 Fibre topped orthopaedic foam bottom insert provides superior support and comfort, making this a great bed for older or arthritic dogs. 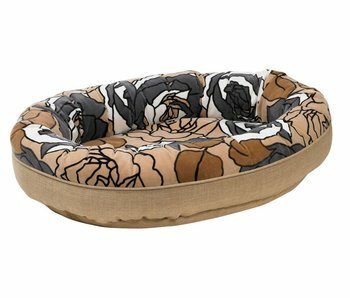 Our two fabric design, combines designer prints with calming, earth-tone neutrals and is finished off with elegant, contrast piping.